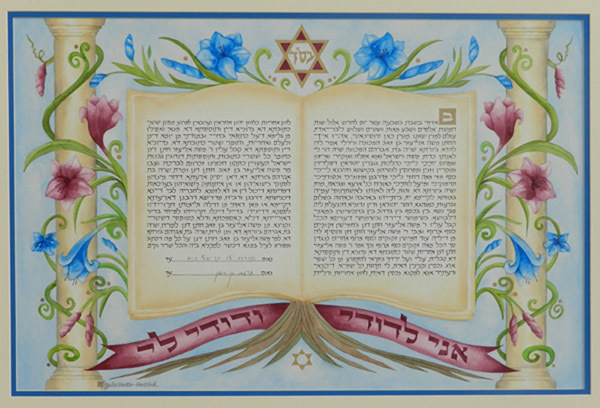 The text is traditional Aramaic, hand lettered onto an open book, signifying learning – an important value to the couple. 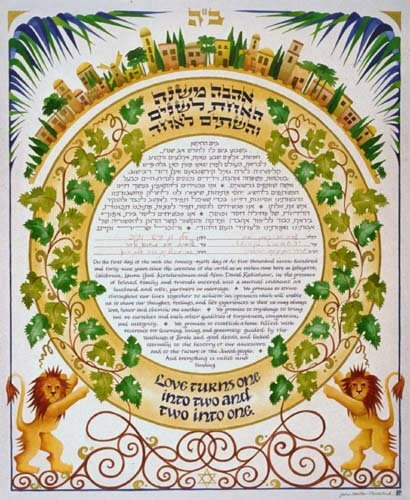 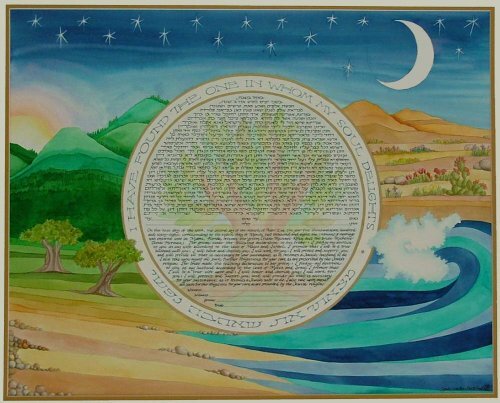 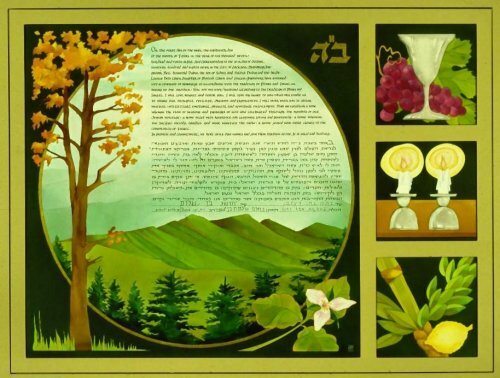 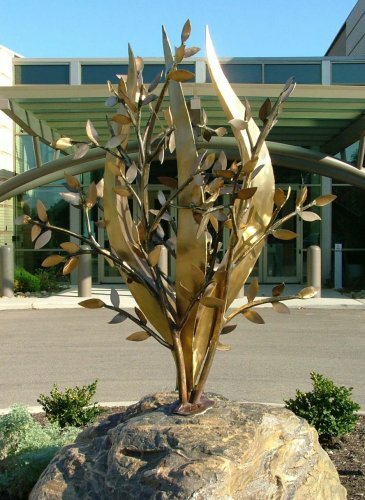 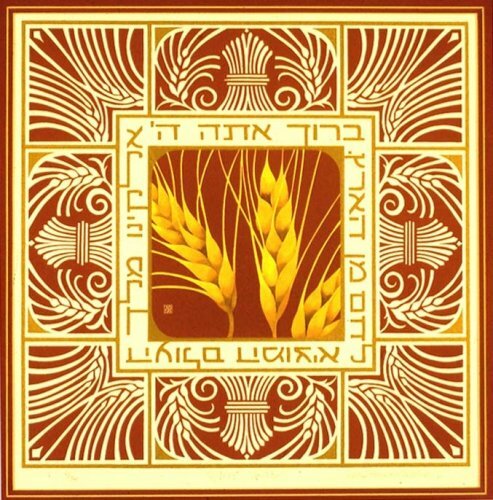 The book has roots, like a “Tree of Life”, representing Torah. 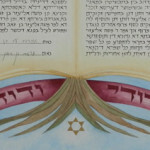 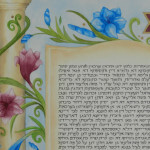 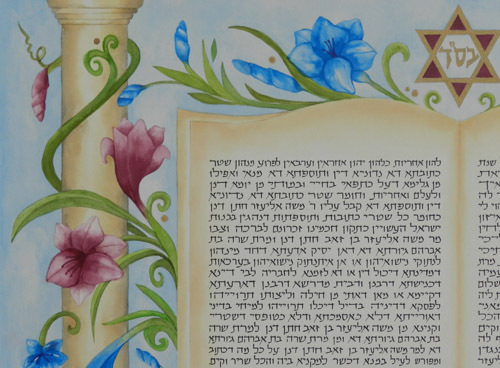 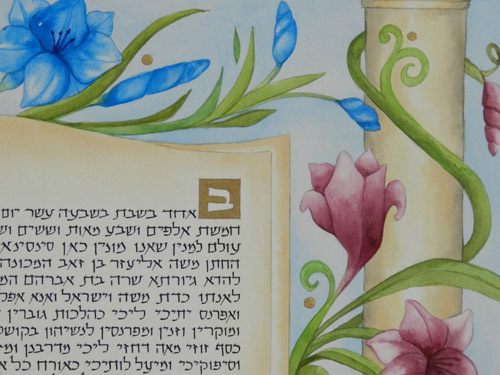 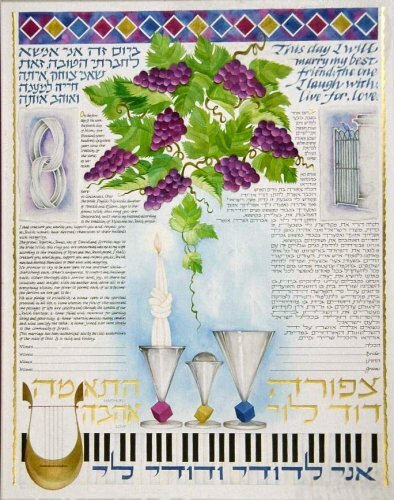 Vibrant flowers climb up pillars on either side of the book and the Magen David above it holds the letters Bet, Samech, Daled, for B’Siyat D’Shamayah – Aramaic meaning “With help from the Heavens”. 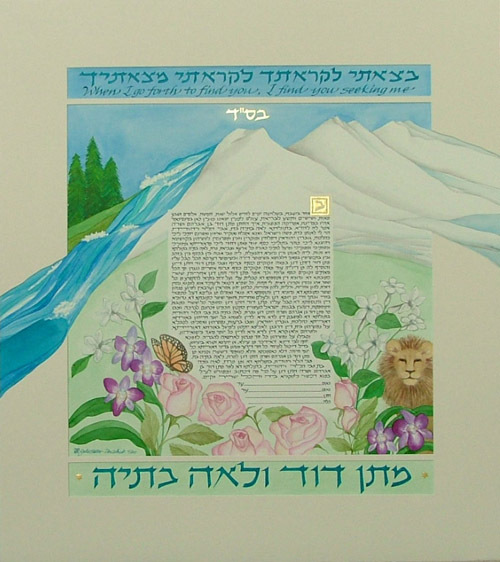 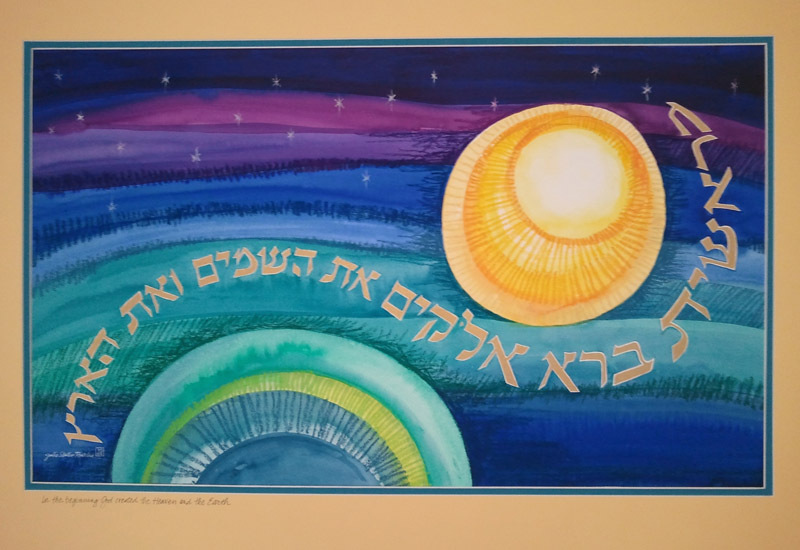 Ani L’Dodi V’Dodi Li, “I am my Beloved’s and my Beloved is Mine” is in Hebrew on the banner at the base of the book. 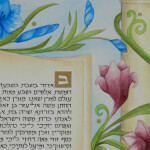 The piece is painted using liquid India Inks on artist’s rag illustration board.